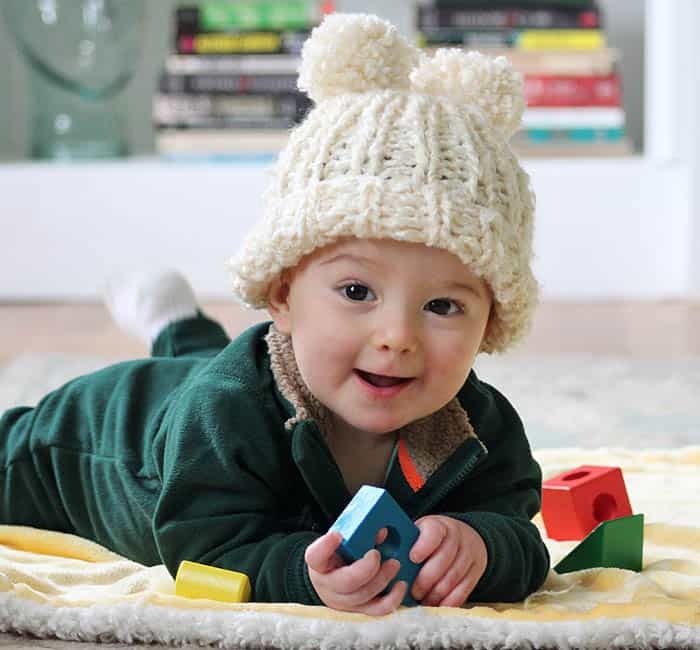 This Homespun yarn by Lion Brand has a soft, fuzzy texture. 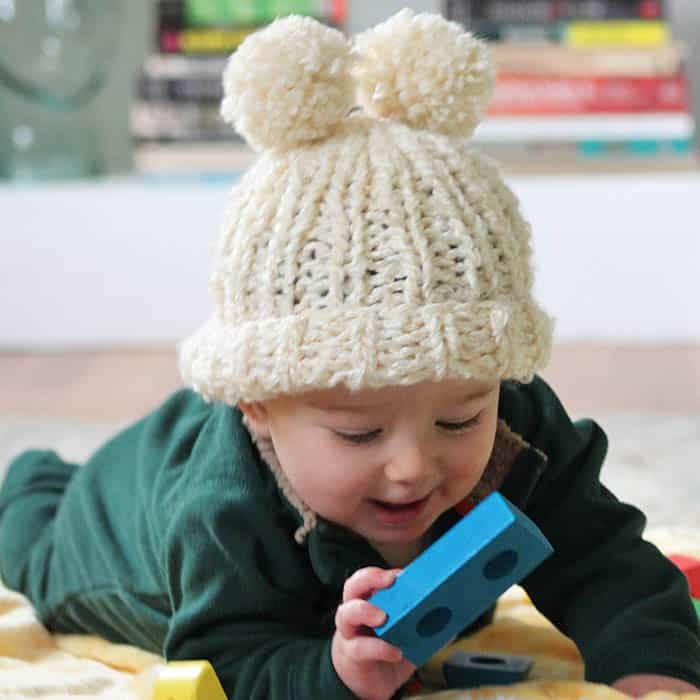 The bulky weight makes it perfect for warm, baby hats! 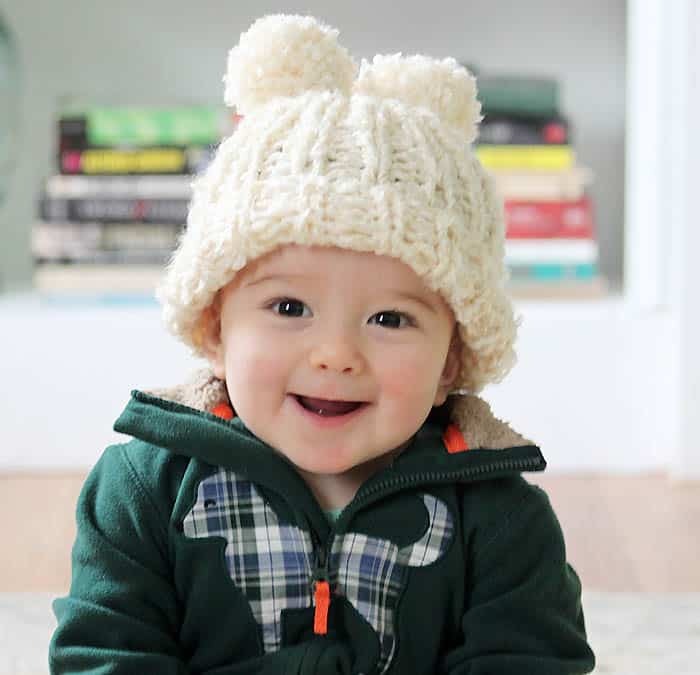 I kept this pattern simple with a basic rib knit and finished it off with 2 adorable pom poms. Cast on 32 sts. Join chain together and put a marker at the beginning of the row. Work in K1, P1 ribbing for 6 1/2 inches. 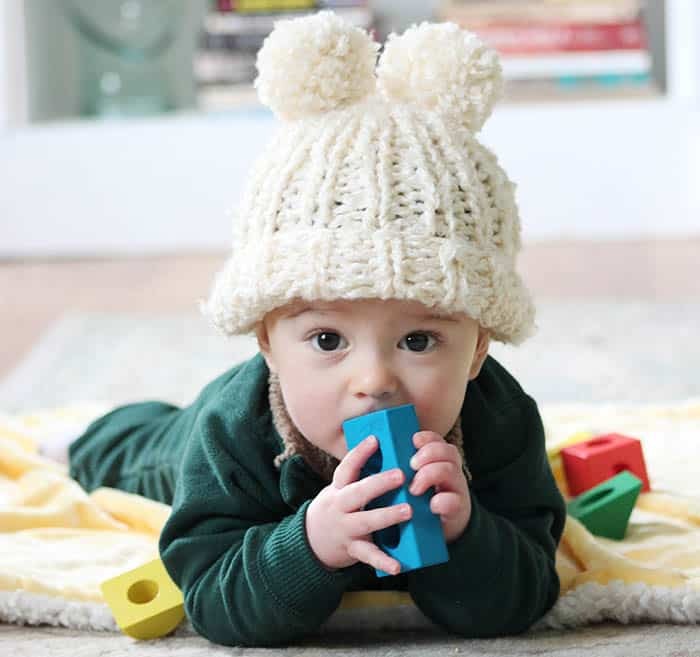 Knit together across the row until you are left with 16 sts. Knit 2 together until you are left with 4 sts. Cut yarn, leaving a long tail. Thread tail through stitches of last row, pull to secure and make a knot.